Although various Open competition structures were played over the previous 20 years, the current and fully inclusive, Scottish Pan-Disability Open Golf Championship format, was first played in 2008 at the St Michaels Golf Club, Leuchars in Fife, where Sidey Ltd first became involved, with the Lord Provost of Fife, by sponsoring the event and its golfers with disabilities. Subsequent Open Championships were held at other venues like Scotscraig Golf Club in Tayport Fife,, an Open qualifying course and the 13th oldest in the world, and several other prestigious venues around the country. Sunday 8 September Check-in and registration from 11:00. First Open round tees off at 13:00. Monday 9 September Second Open round tees off at 09:00. Tuesday 10 September Third Open round tees off at 09:00. Open Prize Presentation starts at 17:00. Three rounds of golf on the East Championship Course, and two nights dinner, bed and breakfast (shared) in a twin bedded room, costs £264 per golfer. A golf only package for three rounds on the East Championship Course costs £150. No practice round is arranged. If you want a practice round you must arrange and make payment when yu book. A golf cart (shared) for the three rounds will cost £45 (ie £15 a day). 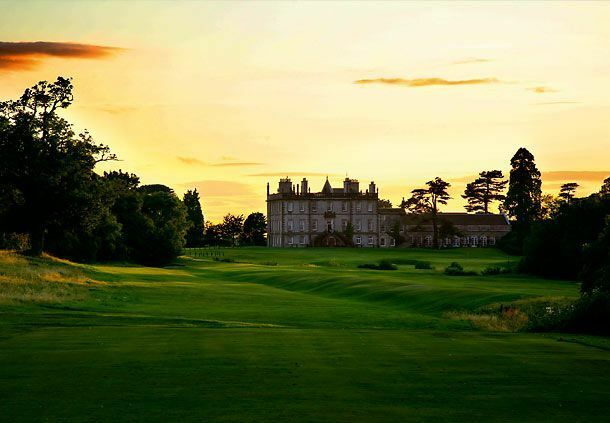 There are only 20 golf carts at Dalmahoy, so its first-come,first-served. Bookings and enquiries can be made by contacting The Events Team on 0131 335 8065 or via email at rachel.king@dalmahoyhotelandcountryclub.co.uk and by using the booking code, “Scottish Pan-Disability Open Golf Championship". Golfers should note, that only a package booking payment with the Dalmahoy G&CC, will confirm an entry into the Sidey Scottish Open!! When players contact Dalmahoy to book and pay for a twin room, they should ideally arrange the room for both players. If this is not possible, then they must inform Dalmahoy of the name and details of their fellow sharing golfer and have that person contact the hotel as soon as possible to complete the booking. If however, Open players are unable to find or know of anyone to share, please contact the SDGC and we will endeavour to match golfers. A limited complimentary mini-bus shuttle transfer is available from Edinburgh Airport to Dalmahoy. This must be booked direct with the hotel on confirmation of your flight timings. Pick up and drop off sites, will then be confirmed. There is a maximum of five daily shuttle journeys, made between 10:00 & 17:00, which are dependent upon numbers of travelers and luggage/clubs. Shuttles outside of this time or over the allotted amount would be charged to your room/account. Breakfast will be served from 06:30 in the Pentland Balcony and evening meals will be available from 19:00 in the Pentland Restaurant. Evening meals must be booked daily, in advance.